Images from my garden on Wordless Wednesday June 6. After a weekend away, I have come back home to these beautiful flowers bloomIng in my garden. Later in the day, a deluge of rain bent over some of my irises. I see it as a bouquet opportunity. Today a fence is being installed with a trellis on top. Something more from my clematises to climb on. 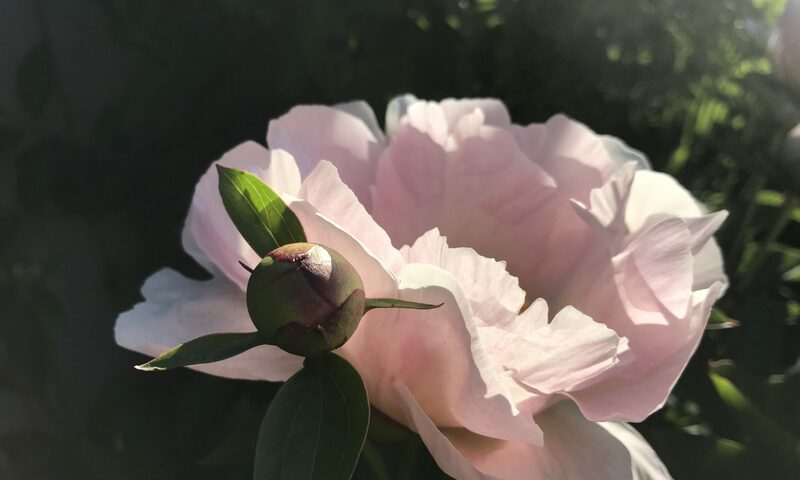 Some of my peonies opening and a geranium I have blooming. Clematises, my bright orange poppies and a peony bud. And some of my irises that are blooming. 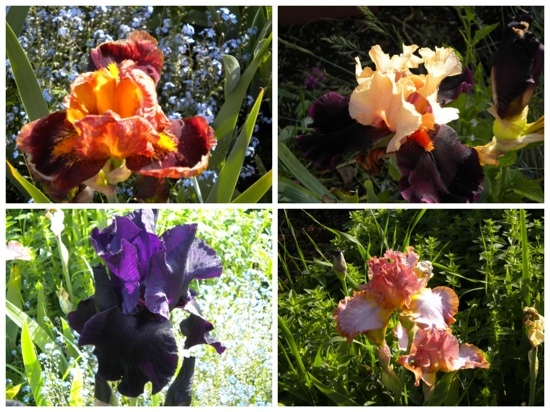 And more of my irises. Come and join me for Wordless Wednesday. I’m going to look at some of the things others have to show off. I love the purple iris! They are all good, but that one is outstanding in color! Thanks for coming by. 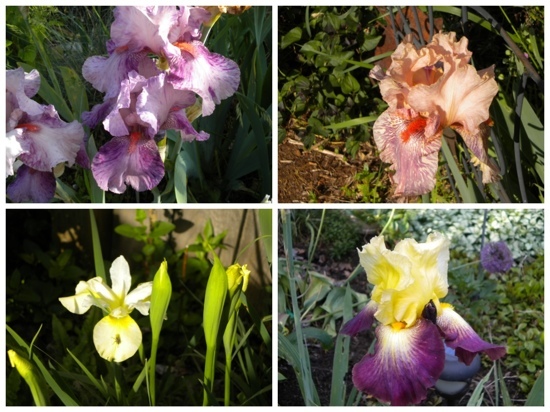 Irises are such fun to grow….so many beautiful colors. I really love the purple one myself. Beautiful!! I sure wish I had a flower garden!! Thanks. There is always container gardening if you are limited on space.